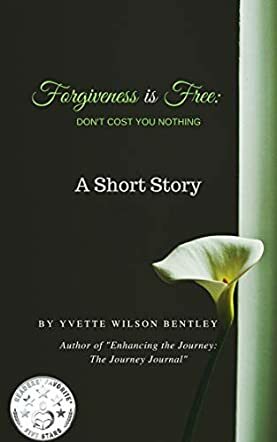 Forgiveness Is Free (Don’t Cost You Nothing) by Yvette Wilson Bentley is the story of a young woman who endured many different types of wrongs inflicted on her throughout her lifetime, from bullies, to being sexually assaulted to feeling like she had lost her dearest family through their own betrayal of one another. At a very young age she was told that forgiveness for those who do wrong is the proper Christian behavior. As events in her personal life caused her tremendous amounts of pain and anger, she swore never to forgive anyone again. She turned to drugs and alcohol as an escape from the reality of the spiritual harm she was causing herself by not ‘letting go.’ Choosing to forgive herself and others, she could begin living her life in the peace she so desperately craved but had seemed to never find. Forgiveness Is Free (Don’t Cost You Nothing) by Yvette Wilson Bentley is a remarkable testimony to the fact that forgiveness is not just a word to toss around in the moment of a half-hearted apology, but a word that carries a much deeper meaning. As Yvette Wilson Bentley recounts her life’s choices and mistakes, she sheds light on the concept that forgiveness is not really as easy as it sounds, especially in the face of some very hard grievances such as abuse and betrayal. Forgiveness Is Free is an easy to understand life experience story, even for someone who is not necessarily religious or spiritual, because most people know someone they love who turned to a life of anger, resentment, addiction and solitude. Forgiveness Is Free could easily be a reference of hope for anyone who has experienced a similar set of choices first hand or knows someone else who has. I admire Yvette Wilson Bentley; it took a lot of courage and commitment to others to write this book. I truly hope Yvette Wilson Bentley will continue to find peace in her personal life through forgiveness as well as writing more testimonies like this one so that others may find forgiveness for themselves as well.